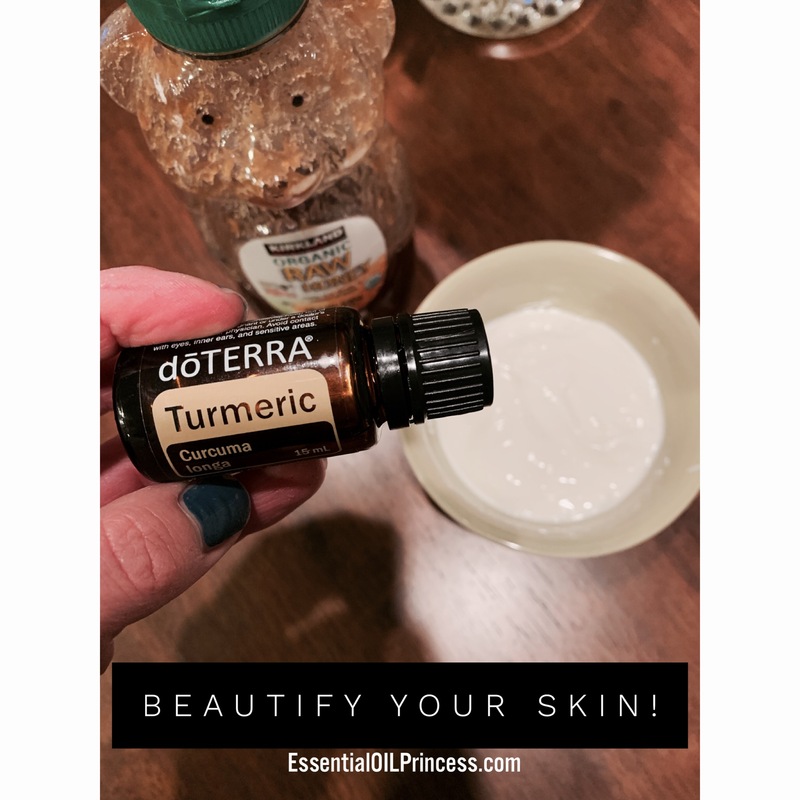 Beautify Your Skin with Turmeric! Turmeric is an amazing oil with many health benefits when taken internally, but also when used topically on your skin! It can help with dry skin, reduce the appearance of wrinkles and skin imperfections and can help with other skin concerns. It is very high in anti oxidants so it is great for cellular health as well! A turmeric face mask is the perfect way to get the benefits for your skin. Test on a small section of your skin first just in case you have sensitivity to turmeric. Be careful not to get it on your clothing as well, since it may stain. Use this mask consistently 2-3 times a week for best results. Wash face and hands first to remove impurities and any make-up. In a small bowl or jar, mix the turmeric essential oil with the honey, apple cider vinegar, yogurt and optional lemon oil. Try to get a consistency that will stick to your face. Be careful not to make it too thin as it may drip. Apply the mask carefully avoiding your eyes. Allow the mask sit on your face for 15–20 minutes then rinse with warm water. If you have any leftover, you can cover and leave in the fridge for your next application. Turmeric is also part of today’s BOGO (Tuesday Nov 20), where if you buy 1 Turmeric Essential Oil you will receive a bottle of Lavender Essential Oil for FREE!